efficiently complying with changing regulations over time. As health plans expand coverage of government beneficiaries, their priorities shift to improving care, managing to quality measures, and ensuring risk score accuracy -- all within a dynamic regulatory environment. Public measures of quality also grow in significance, with consumers focusing on STAR quality ratings that drive significant revenue advantage to the plan. Progressive plans can now reap the benefits of these tools through a secure Aerial cloud deployment, reducing the investment and support requirements associated with legacy care management implementations, and improving time to value with out-of-the-box functionality, application and web service integration. Aerial Insights, a big data platform to identify and engage high-risk members; make meaningful strides in quality and cost; and automatically generate government and payer-specific compliance reports such as STARS, GPRO/ACO, P4P, and HEDIS. Business logic supports real-time assessment data, along with labs, CAHPS surveys and claims, to more effectively enable health plans to measure HEDIS under the five clinical domains and, importantly, monitor bonus payments for any reimbursement program. Advanced data analytics, and preconfigured and custom reporting capabilities generate a transparent view across population cohorts; individual patient risk factors that may require individualized care plans; and quality, clinical and financial performance across populations and provider networks. Aerial Complex Care Management, offering a patient-centered, comprehensive care planning feature which meets CMS' requirement for a care plan shared by the entire interdisciplinary team. The care plan is auto-populated with data, clinical content and recommendations personalized to member/patient needs and highlights priority health concerns. This insight improves care team and intervention efficiency, as well as shared interdisciplinary team decision making and coordination. Aerial Complex Care Management also supports dynamic regulatory requirements like tracking of complaints, appeals and grievances, and care coordination of dual-eligibles. Aerial Risk Revenue Maximization, which automatically calculates and updates risk score models such as Hierarchical Condition Coding (HCC), based on the member/patient's latest clinical situation according to specs provided by CMS. 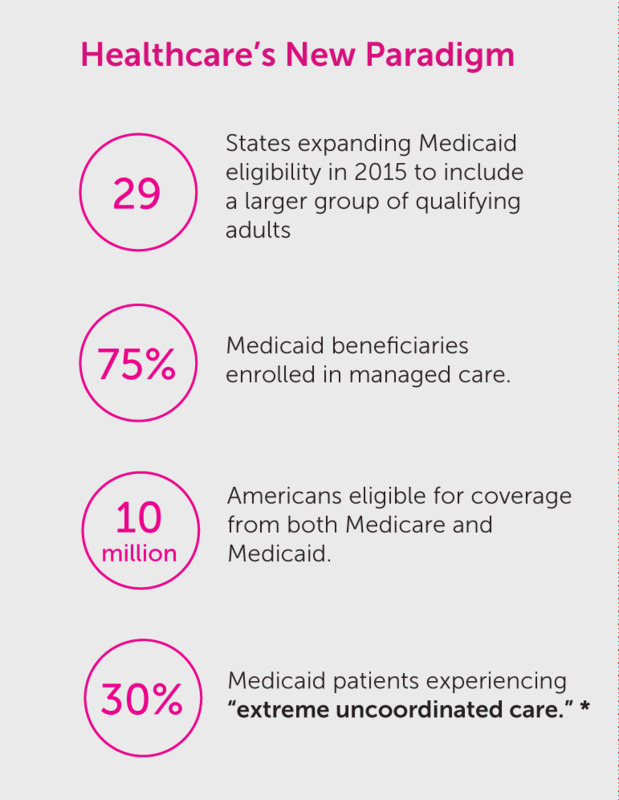 "Progressive health plans are quickly transforming from decades-old Medicaid and Medicare Advantage program administration approaches to today's fast-paced regulatory environment and broadened responsibilities under the Affordable Care Act," said Deborah M. Gage, president and CEO, Medecision. "With Aerial, government health plans can get a modern, modular, services-based alternative to managing government beneficiaries. It's time for all plans serving these patients to avoid unwieldy, massive IT systems, and concentrate on their primary mission of improving the health outcomes of their beneficiaries, managing to quality measures, and ensuring risk score accuracy and compliance." Medecision is a Silver Sponsor of the 12th Annual World Congress Medicare and Medicare Advantage Summit. Chief Administrative Officer Jennifer Ponski will moderate a panel discussion on "Formulating Strategies to Increase Member Engagement" from 2:00pm to 3:00pm ET on July 13, 2016 at the Sheraton Tysons Hotel in Tysons Corner, VA. Formerly the chief financial officer of Advantage Health Solutions, Inc., Ponski was responsible for the company's entry into Medicare Advantage, which grew to one of the company's largest lines of business. She has also held a variety of CFO positions within Anthem operations, including AllMed and American Health Network. Previously, Jennifer was the executive vice president and CFO of Truven Healthcare (then MEDSTAT Group) during its high-growth, entrepreneurial phase. 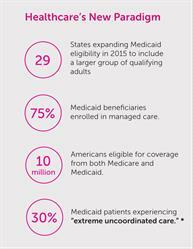 Learn more about Medecision and Aerial for Medicaid and Medicare Advantage. About this company MEDecision Inc.